Rikimaru is a pretty decent DPS hero but has a lack of lane control and low HP. His signature skill, Permanent Invisibility makes him extremely powerful in pub games because it's less likely that the enemy team will buy sentry wards to counter him. Morning tavern, bottom left. His location, what do you mean what. Level 4 - 5 second cooldown, deals 120 extra damage. Can now teleport to an ally. Great skill for chasing and help last hitting in the early games. Throws a smoke bomb down in the area, silencing opponents and causing them to miss on most of their attacks. Also slows by 25% at all levels. Doesn't silence item spells. This skill is really usefull for team battle and ganking enemies. Silencing enemies and yet enemy almost cannot hit you. Smokescreen can also destroy trees, use it to kill Treant’s eyes or Furion’s Sprout if necessary. Smokescreen can’t silence item spells, which means any hero with Guinsoo’s Scythe of Vyse can hex you immediately after you’ve cast smokescreen. The Stealth Assassin isn't afraid to fight dirty, and specializes in attacking his opponents from behind. This skill makes almost SA guide focusing on buy agility items. The bonus damage only given when you attack the enemies from behind. In certain angles, you can still get this bonus when you attack beside the enemies. Just watch the blood animation for the successful backstab. Rikimaru’s unique skill. Permanent invisibility means you can slip away to enemy territory without worrying. Getting exp without harassed. Unfortunately, good enemies player will counter you with wards or gems. Blink Strike is your primary skills for early games. It can be cast on both allies and enemies, which means you can always Blink Strike to your allied creeps if accident happens and to chase fleeing enemies if opportunity appears. You also need one level of Smokescreen to silence/ mini-stun enemies just in case and Backstab to help your last hit creeping. Some people will say it is better to take Backstab than Blink Strike because it doesn’t need mana. But in reality, there is nobody outside that will let you hitting creeps from their back. Stealth Assassin will be harassed pretty much until he gains his invisibility. With Blink Strike, you can steal last hitting and getting some gold. The second reason, in the early games bonus damage given by Backstab is smaller compared to Blink Strike. Your agility is still small and your items is still nothing. That’s why we should max blink strike first. Invisibility is taken immediately for obvious reason. Ring of Regeneration is better than tangoes because Rikimaru has invisbility. He doesn’t have to return to fountain when his HP is low. Just stay invisible, regenerate and leech experience. That’s why the Ring of Regeneration is for. Water is also good for Stealth Assassin because after drink water you can stay invisible. And then problem begin, why we should buy Manta for Riki? Manta Style is the best counter against gem carriers and all kinds of silence spells. Panic when Silencer/ Death Prophet/ Drow Ranger cast Silence on you, because you’re revealed? Use Manta to break the silence spells and confuse enemies! When Bounty Hunter or Slardar track you, split images to break it. While gem and silence spells are a counter to invisibility, illusions are a counter to gems and silence spells. In particular, using Manta can immediately counter all kinds of silence spells, because AoE silence cannot stop heroes from using item spells. Manta also gives you some sort of HP bonus. It is relatively easier to build up Manta because the most expensive part is the Diffusal Recipe that cost you 1550. Why we got 3 Yashas??? Yasha is the single best item for Stealth Assassin even if you ignore the additional movement speed bonus. It gives you agility at a relatively low price and all your images benefit from Yasha immensely. Yasha is better than butterfly for several reason. Riki doesn’t need evasion too much, because he is invisible and has Smoke Screen. 3 Yashas also give 48 agility, which means 48 base damage, 48 backstab damage, 48*0.8 = 38.4 damage if you use Manta, plus 7 armor 48% bonus attack speed that almost as good as a hyperstone for you AND your images. Butterfly only gives half the agility, gives you a good but irrelevant bonus called Evasion, and other bonuses that don't apply to images. And the last reason is farming Eaglehorn is a lot harder for Riki comparing with farming Yashas. However, if you have 3 Yashas and the game still goes on, it doesn't harm to get a Butterfly since you have only 1 more inventory slot (throw away the Ring of Regeneration). Pick a solo lane because Stealth Assassin needs to level up to learn Permanent Invisibility as soon as possible. But if you facing a hard lineup and does not feel confident get a lane mate. Early game your own job is to survive and get last hit. Don’t try to be ambitious and harassing with Stealth Assassin. This simply doesn’t work. Your early game goal should be to gain last hit and survive. Unless the chances are really favorable and you’re sure that the enemies will be forced to retreat after you’ve cast a smokescreen, forget about harassing. In most cases, you’ll end up being harassed. Most Stealth Assassin players have serious problems in farming throughout the game. If you can stay in lane for a reasonably long time and take advantage of Backstab to do last hit creeping, you’ve already done half the task. When your enemies place Sentry Ward on any particular lane, just get Scroll of Townportal and go to another lane. With just 135 gold, you can enjoy painless last hit creeping, so it is worth the price. In addition, do yourself a favor. Watch the timer right after you’ve spotted the Sentry Ward. You don’t want to go there again until the Sentry is gone. When you reach midgame, continue to do last hit.It is boring and requires attention, but this is the sad fact of all Stealth Assassin players. When you hitting randomly, it means more time that you’re revealed in battlefield. Therefore you will be vulnerable and can easily got killed. With Level 4 Backstab, Blade of Alacrity and Boots of Elvenskin, you have +32 damage so it isn’t insanely difficult to gain last hit. Once you have your Diffusal Blade, help out your team by casting smokescreen and purge. However, before you have Manta, ask your teammates to avoid pushing the lanes that are with Sentry. By doing so you’re spending 200% effort with 50% reward. It is just not worth. Stealth Assassin can’t do anything substantial other than throwing smokescreens and a few occasional Blink Strikes unless he has a first major item, this should be common knowledge. When your enemies starting to have Gem / Necronomicon it means they want to kill you before you can cast smokescreen in team battles. Smokescreen is very annoying especially in team battles. So, your main task is to throw a smokescreen on enemy heroes before you die. How to do that? The trick is to split images and march in with all the images. Yes the enemies will still see you, but they will be confused on which unit they should hit. That’s the thing you want! Now just cast Smokescreen and then whack your enemies together with your allies. Silence will break your invisibility, but fortunately Manta can break silence spells. Whenever you’re silenced, use Manta. When you are facing Gynsoo user, Manta first before engaging your enemies.Sometimes you also can have advantage with your invisibility by patrolling jungle. When you find enemies jungling, initiate ganking immediately. In the late game, now that you have Manta and can afford to be aggressive. Continue to do last hit creeping when you’re not in major battles, and confuse the enemies/ protect yourself by images and smokescreens. Once you have Yasha/ Butterfly you can even engage in close combats with enemies, but before that you’re just a combo started/ chaser/ harasser, rather than the power house of your team. The most important thing you should remember, Stealth Assassin is not a 1 on 1 killer. His ultimates does not buff the hero's damage at all, definitely tells you that you should not focus on pumping his fire power. In fact, Stealth Assassin is an assassin and a team combo starter. The ability to blink and drop smokebomb implies that he's the person to set up combos for allies. i do concentrate on diffusal blade --> manta, it is very useful against being chased. treads - for more agi ..
bat fu - for farming ..
butterfly - adds more agi ..
yasha or make it s&y - for mkore agi ..
dots what item guide lai de. 3 yasha. dots. ONE MANTA. dots. manta for? i tell u my item guide. First i get Sny. No nid so many yasha. 2nd i threads no threads first. last either basher? one more butterfly? basher most important cos got butterfly. got it? And i teach u.when a opponent teleport to a tower. smoke screen that tower. he cant teleport le. chio bo? this is the best items for the SA. I prefer power treads, vladmirs,sane and yasha (sny),butterfly,buriza for more crit; and manta. The items above are more than enough for godlike. ppl u forgot about vladimirs offering!!! "try it boys, its worth it.."
nope theses are the best. how about poor mans shield on early game? You can Kill a Foe with just one hit without using any skill, and it will never received any damage from Foes. This items is the best! hmmm...easy to say...what if? 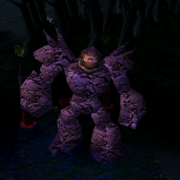 if bristtle back is rikimaru's enemy? my build dominates all of your build!